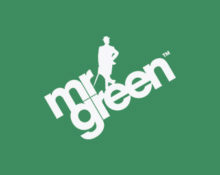 Mr. Green – Week Starter Tournaments! 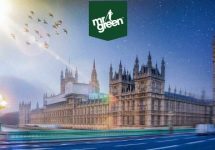 Win a share of £3,500 and 1,500 Free Spins! Start your weekly gaming in style at Mr. Green with two fast and rewarding tournaments. Play the Netent Classics Jack Hammer and Jack Hammer 2 to qualify for a cash drop of up to £750 and then complete three missions in the fewest possible spin to secure one of 10 cash and Free Spins bundles. Hurry, you have only 48 hours to crack the case of the missing Cash Drop with ‘Jack Hammer’ and ‘Jack Hammer 2’. If Mr Green picks you out of the winners line-up at the end of the 48 hour period, you will win a Cash Prize of up to £750. A total of £3,000 in cash prizes will be randomly dropped into 25 random players’ accounts. 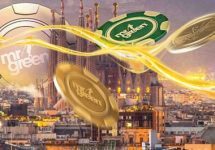 A minimum of 20 rounds played on the ‘Jack Hammer’ or ‘Jack Hammer 2’ slots during the promotional period qualifies a player for the random cash drop. For those 25 players randomly chosen, all Cash Prizes will be credited within 72 hours after the promotion ends. All cash prizes dropped are real cash, no wagering requirements. Prizes are allocated in the order they are drawn. Terms and conditions apply. Get your week off to a great start with a swashbuckling slot adventure in a quest for Cash & Free Spins, exclusively for UK players. Your mission consists of three objectives. The top 10 UK players on the leader board that complete all three missions in as few spins as possible will take home a cash prize and Free Spins, 40 more players will bag a bundle of Free Spins too. The missions can be completed in any order, just remember, you must complete all three. Completed all 3 missions and think you can do better? Hit reset and improve your score! If you don’t improve, your best score will be kept. Bets made with bonus money do not qualify for the promotion. There is no minimum bet required to participate in the promotion. Leade board updates every 60 seconds. Cash rewards have no wagering requirement, winnings from Free Spins have to be wagered 35x within 7 days, subject to the bonus terms and conditions.